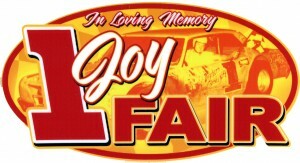 Pontiac Michigan racer Joy Fair was not only my hero, he became a friend. In a remarkable 50 year career spanning 1949-1999, he won hundreds of races all over the country. Few are fortunate enough to become friends with one of their heroes, and I was blessed in that regard. The afternoons we spent together at Fair’s Garage, the race track, and having lunch, are memories that are priceless to me. I think of him nearly every day & miss his sense of humor more than anything. 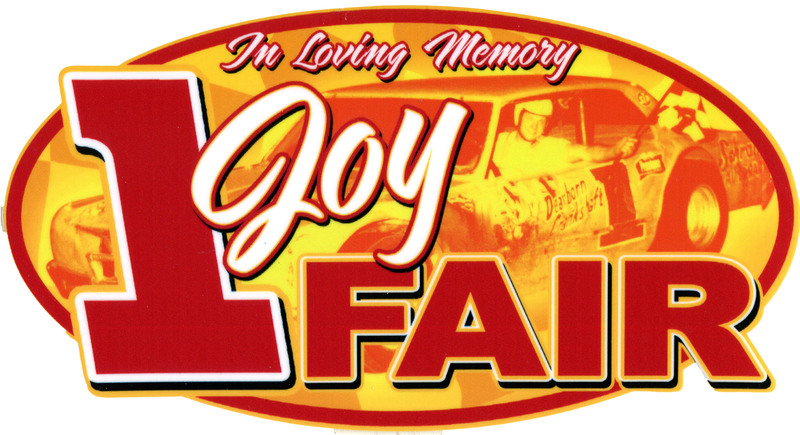 Joy passed away in December 2011, and in tribute to a great man, I decided to honor him in 2012 by having some stickers made for his family, friends, fans, and fellow racers. Thanks to Street Stock driver Landon Schuster for the fantastic design as shown above! Proud to say that not only did I meet some great people, but was also able to raise $2500 in donations to the American Diabetes Association in his name from the proceeds. While dozens of drivers at Flat Rock and Toledo placed the stickers on their race cars in honor of Joy, they were also seen on the cars of Frank Kimmel, Brian Keselowski, and yes, even at MIS, on Brad Keselowski’s NASCAR Truck as seen on my MIS page.